Please note: Finn Balor is NOT coming to Stride Pro Wrestling. This is a fantasy booking blog post. 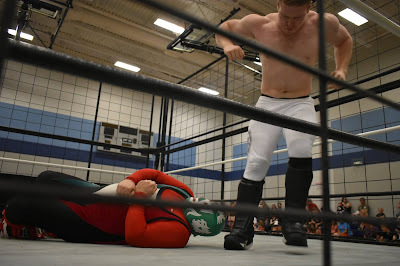 July 25 is Finn Balor's birthday and I decided to put the first WWE Universal Champion in matches against a few of Stride Pro Wrestling's brightest upcoming stars. It wasn't that long ago Balor himself was wrestling in the independents. Never say never when it comes to talent getting their shot at WWE or the national stage. Arron Brooks is currently the number one contender to the Legacy Championship. He's also the wrestler on the Stride roster who reminds me the most of Balor. The two have taken on different personas in the ring, Balor of course as the Demon and Brookspool has made his presence known in the ring. Brooks has promised more characters to fit his comic book-loving personality. He's worked on cards with Balor back when Prince Devitt was in the ring. (Hear more on that here.) 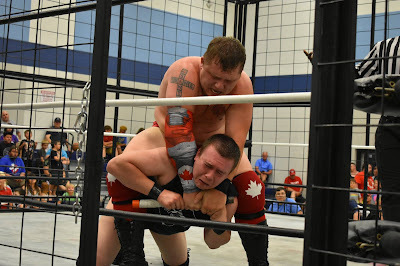 Brooks uses the Coup De Gras in his matches too. Venompool is rumored to be coming to John A. Logan College as Brooks faces Wraith for the Legacy Title on Aug. 4. 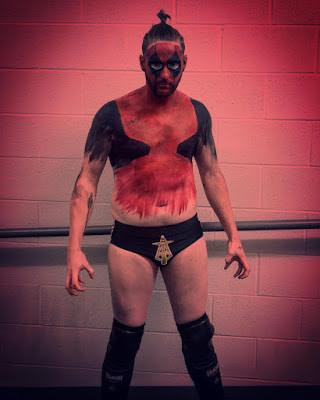 Speaking of the Demon, Ryzer is quite a demonic figure on the Stride Pro Wrestling roster. The disciple for Wraith has come a long way in a short amount of time. Ryzer has the speed, power and agility to hang with Balor in the ring. Plus with big Wraith in his corner, he'd have an added advantage in there. Give Ryzer some more time and seasoning inside and out of the ring and he's going to be a contender on the national scene. I've got to put the current Stride Pro Wrestling Heavyweight Champion Tony Flood in there too. Like Brooks, Flood has about a decade or so worth of experience. He is one of the smartest wrestlers on the Stride roster. He's a ring general and would make an excellent opponent for Balor. Flood has put his body on the line and taken high risks on more than one occasion in the two+ years Stride has been around. It's those risks that can lead to big rewards. 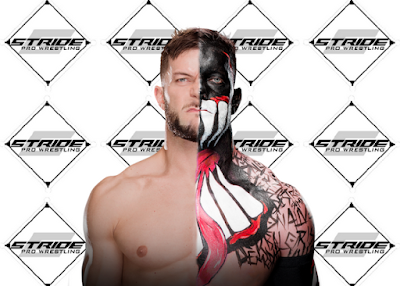 Who on the Stride roster would you put in there against Balor? Weigh in here or on the Stride Pro Wrestling Facebook page.